Beverly Hills Cinemas and Subway Restaurant has sold for $6.5 million at an net yield of 9.36 per cent to a local private investor. Located at 447-453 King Georges Road, Beverly Hills, the site is approximately 1,450 square metres and features six cinemas. According to Mr Ajaka, this is the first Australian cinema sale in 12 months or more. “As far as we’ve seen, this is the first cinema to be sold in Australia in at least a year. We received enquiries from local investors as well as offshore. The strong interest highlights the value of cinemas as part of an entertainment asset class – particularly in a great location such as this,” said Mr Ajaka. Greater Union, trading as Beverly Hills Cinemas, and Subway Restaurant are a part of the local entertainment precinct, located in the heart of a long-established café and restaurant district within the St George Area. Beverly Hills Cinemas has been operating for over 30 years and was renovated in 2008. Mr Ajaka and Mr Danas are also currently managing the sale process of the Cronulla Cinema and Retail Complex, another entertainment and retail-based asset well-located in the popular beachside suburb, and said they are in discussions with several interested parties. 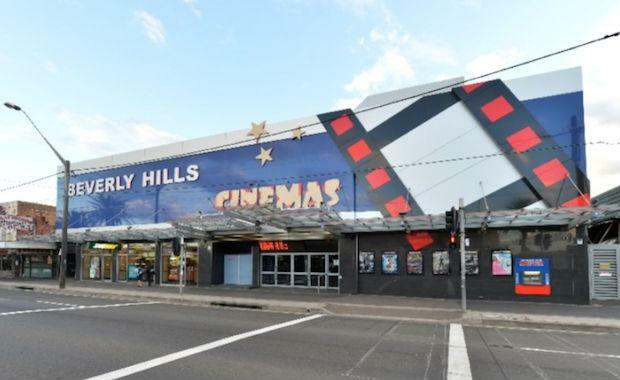 Mr Ajaka said, “Both Beverly Hills and Cronulla Cinemas are head-leased by Greater Union, with Cronulla offering a variety of blue-chip tenants including McDonald’s, Boost Juice, Tree of Life and several other tenancies with long-term leases. “The Cronulla Cinema and Retail Complex is in a landmark, multi-level building at the entrance of Cronulla Plaza, in the area’s main beachside retail precinct,” said Mr Ajaka.